D: All Things Digital is the Wall Street Journal’s annual technology conference with “breaking news, highlighting innovation, and bringing you straight-up conversations with the most influential figures in media and technology“. 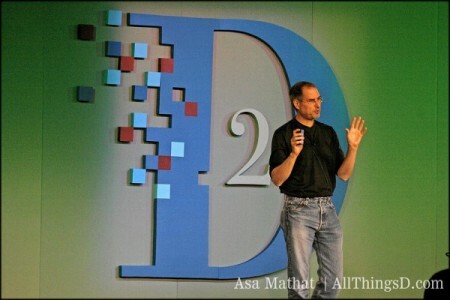 This year’s guests include Steve Jobs, CEO of Apple and Steve Ballmer CEO of Microsoft. The Conference will start today 1st of June 6PM PST (June 2nd 4AM Saudi Arabia local time). Engadget will be covering the Steve Jobs interview here.